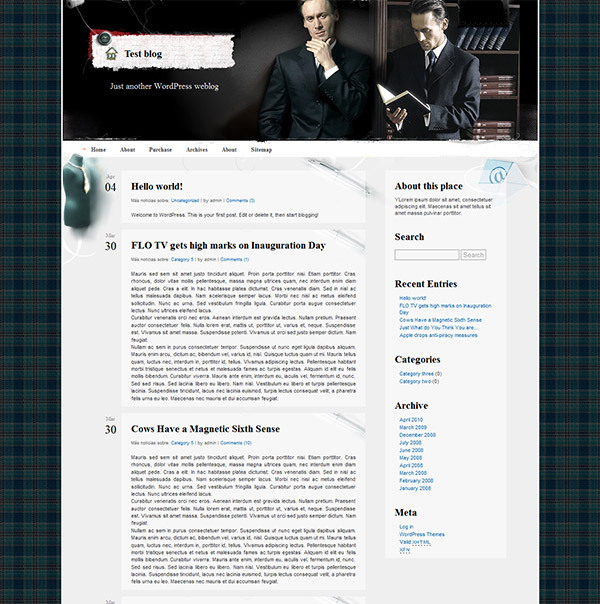 Kind of Business is an elegant theme with a classic feel, a perfect choice for business. Quality graphic and custom interface, impressive header – these features make it stand out distinctly from other themes. If you seek to impress your clients or partners, the combination of elegant shades of black and gray and the imposing gentleman at the header will do it for you. The BusinessNews theme is wordpress 3.1 compatible, Widget-Ready, User-Friendly, has a Built-in IE6 PNG fix, W3C XHTML 1.0 Transitional and W3C CSS Valid and is Fully compatible IE7, IE6, Safari 2+, Firefox 2+, Opera 9+. It also comes with additional localizations for German and Spanish languages that you can download separately.